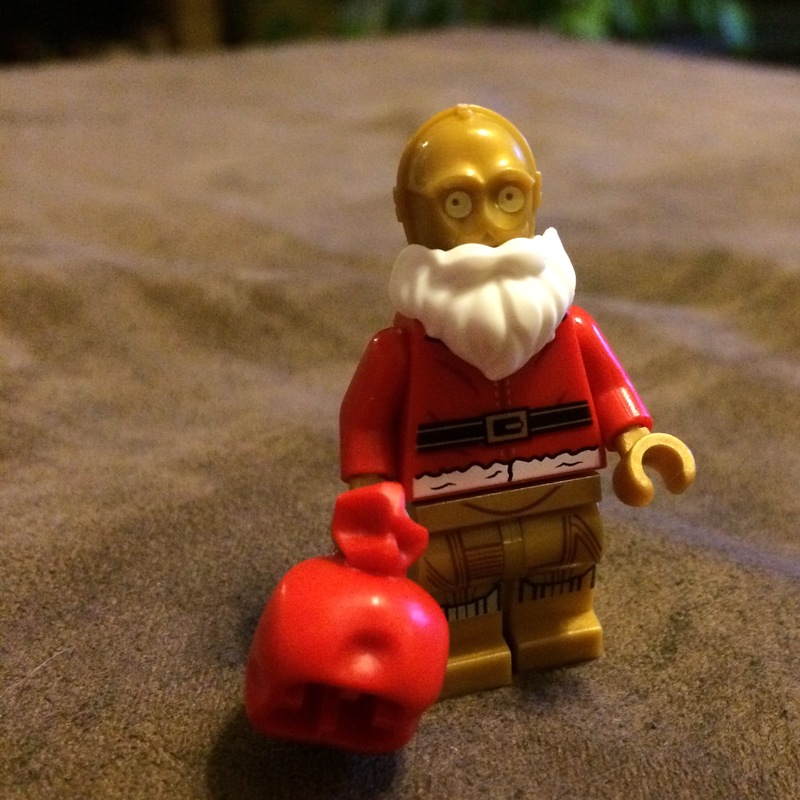 A couple of years ago, I became aware that LEGO made a Star Wars advent calendar, which sounded to me like something my brother’s kids would really like, being fans of both LEGO and Star Wars. Unfortunately, I didn’t hear about it until well into the holiday season, when an advent calendar is less than useful. And then, last year, it was sold out by the time I went looking for it. The full view of the ice, taken from above where home plate would normally be. 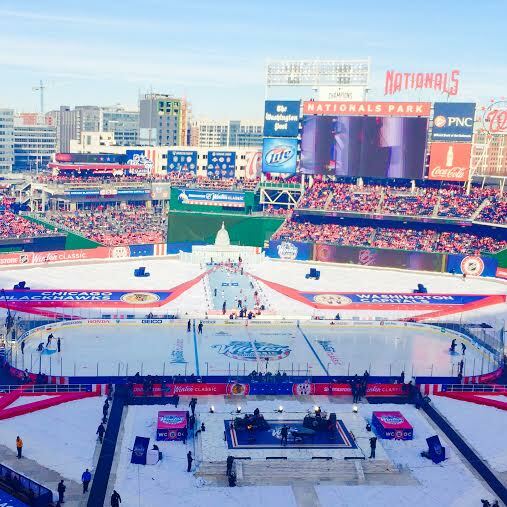 For the second time in five years, I had the great good fortune to kick off a new year at the Winter Classic — the NHL’s big, annual outdoor hockey extravaganza. In 2011, my cousin Kate and I went to see the Caps play on the road in Pittsburgh, but this year’s game was much closer to home. About a mile and a half, in fact. I went to the game with my brother Brian and sister-in-law Jen — and without our planned fourth, our little sister Eileen, whose sick nine-month-old kept her family home in Texas for the week. We started off the day at my place with cheesy ham & potato breakfast casserole and mimosas, followed by a lot of layering. (When all was said and done, I had on five shirts and a jacket, and two pairs of pants, socks, and gloves, along with a blanket and hand/foot warmers for backup.) That said, though, the weather was just about perfect — cold, but very sunny. Our seats were in the shade, so all of the extra warm things came in handy.